Sporting events provide a uniquely unifying opportunity, melding people of all ages and backgrounds alike. Something as elementary as throwing a ball around brings people together and beckons them to form a deep bond with their favorite teams. Because of this bond, the foremost top athletes are hailed as superstars and celebrities. A jersey from one of these super athletes can cost upwards of hundreds of dollars, or if it’s a signed or limited edition jersey, it can go for much more. The common thread in all of this– besides the talent of the athletes– is the loyalty and commitment of the fans. They fill the seats, they buy the merchandise and they watch the games on television. When they choose a favorite player, they often want to collect merchandise, which more often than not, includes a jersey with that player’s name and number on the back. Jerseys are also often customized with a fan’s own name, as if they are a part of their team. Having a jersey with their own name on it brings a sense of pride and ownership– they put themselves on the bench right alongside their favorite players. Personalized jerseys allow fans to become a part of the team, or, we could say, a part of the “brand.” Sports teams are brands in the sense that they are selling a product (the game) to their loyal customers (the fans). In this sense, any company or brand that is even just closely related to the sports world would benefit greatly in offering personalized jerseys for their brand activation. ink+cotton’s abilities in this realm are endless. 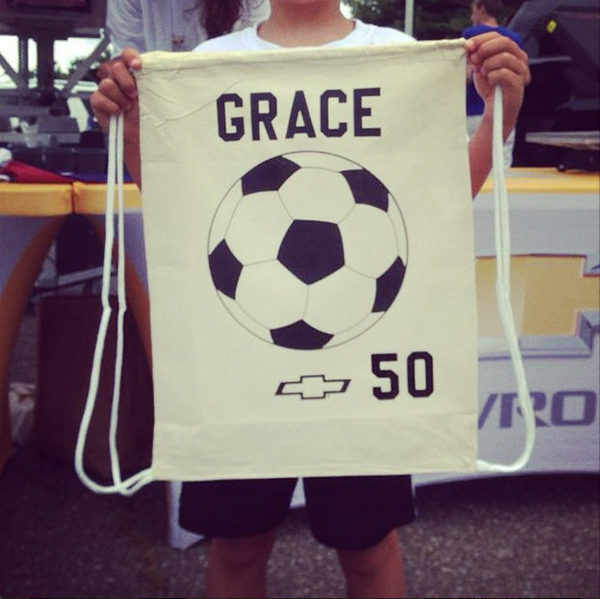 In 2014, we went out with Chevy to over 40 events and offered custom cleat bags. Guests could customize with their favorite players name and number, or their own name and player number. Fans come together for a team, so why not spread that loyalty to your brand? 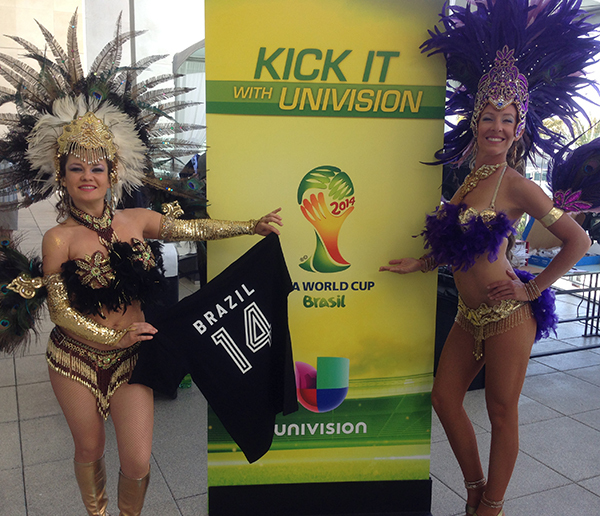 Your guests will align their favorite sports team or player with your brand, and perhaps their loyalty along with it. 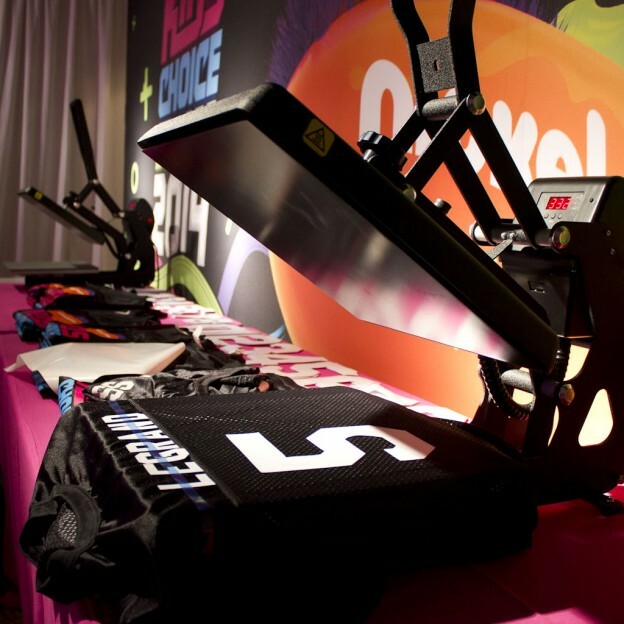 Custom lettering can be done on jerseys, t-shirts, cleat bags, tote bags and more. This type of brand activation brings an interactive twist to your guest’s experience. Not only are they getting to personalize a piece of apparel, they are watching it happen right in front of them. Guests are molding your brand to make it their own. It’s a good place for your brand to be, tied in closely with their love for the team and the players.